April is here and we’re all ready for the warmer months to come. As you enjoy the warm weather, make sure to keep tabs on these awesome blogs. Not familiar with “UX”? It means user experience. And your goal as a marketer is to make sure visitors have a positive experience when they’re on your blog. 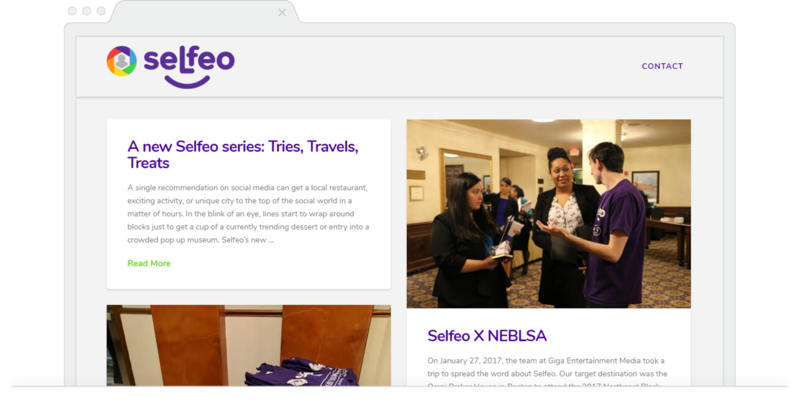 One blog that hits a UX home-run is the Selfeo Blog. Their color scheme and blog design creates a beautiful environment for readers. Pro Tip: There are endless methods for improving blog UX. 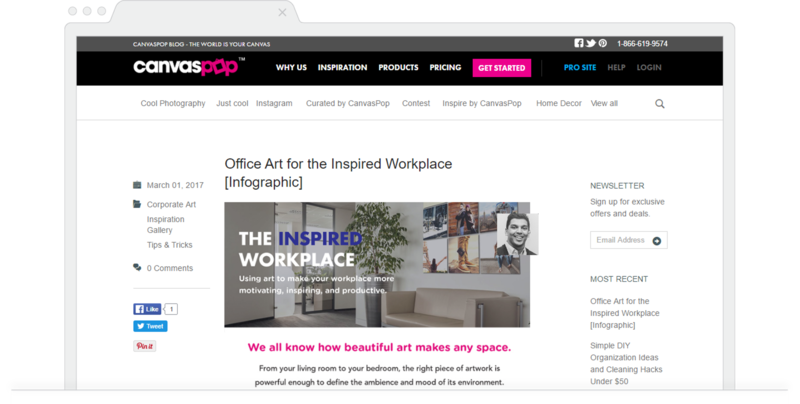 Look at your blog design, do you see a lot of white space? that’s a good sign of blog UX. Also look at usability factors. Are visitors able to easily find related content? Navigate to your home page or products? How about sharing your content? All of these features factor into blog UX. Boosting your blog’s social presence drives quality traffic to your site. It also solidifies your brand as a thought-leader in the industry. 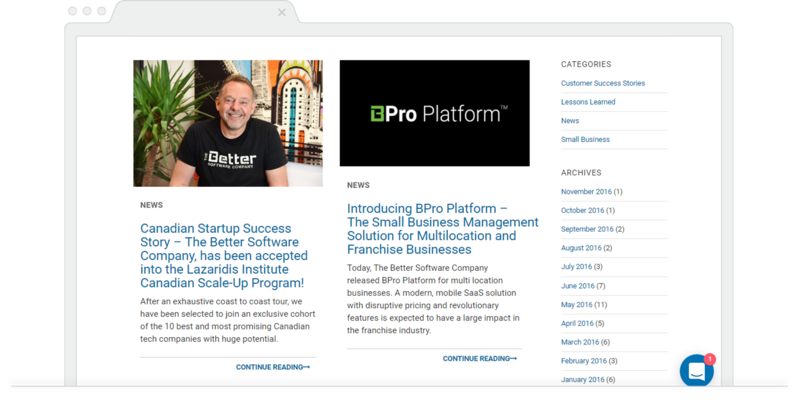 One of the most popular blogs we came across this month was home to the Better Software Company. Their social strategy earns them a ton of engagement every post they publish. Pro Tip: Increasing engagement for your blog isn’t easy. It takes savvy and targeted strategy. By posting the right content on the right networks, you improve a blog’s chance for receiving engagement. Blogs reaching Google’s first page can drive huge volumes of visitor traffic to your site. This makes blog SEO well worth the time it takes to fully optimize your posts. Take a note from the CanvasPop blog. Their blog uses SEO techniques to pique search engines, bringing in a ton of qualified visitors. Pro Tip: The first step to SEO your blog posts is to optimize on page elements. This is the foundation of your SEO efforts. After you’ve covered on page SEO, move to off page SEO to boost your pages authority in search engines. Your audience is unique. They expect a certain style of communication. And hitting home on this is going to increase blog engagement and keep readers happy. To get an idea of tailored reading, look no further than the BTE Tech Blog. They use a high-level writing style that resonates with their audience type. Pro Tip: Aligning writing style with reader preferences is no simple task. But here’s how to do it: First have a firm understanding of your target reader. Then, use your Blog Pulse report to analyze your blog’s typical reader profile. This will tell you if you’re hitting home with the right communication style. “The more the merrier.” Does it apply to blogging? You bet. Having a plethora of blog contributors is a great tactic for diversifying content. 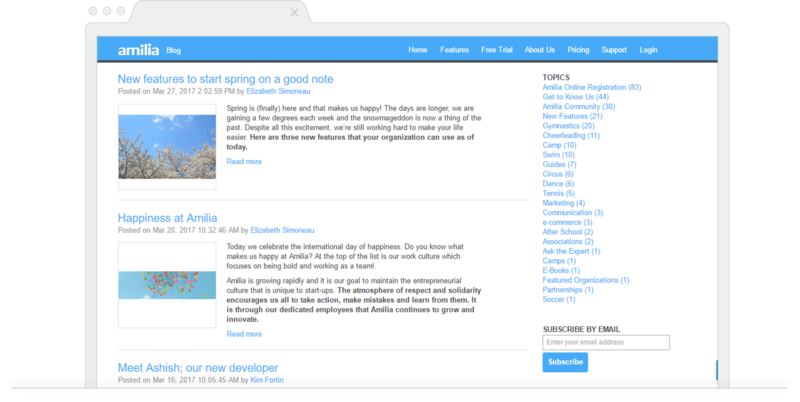 One blog that knows all about authority diversity is Amilia. With over ten blog contributors, they’re able to reach niche readers and cater to a broad audience. Pro Tip: You may be wondering how to increase author diversity. There are two ways. One is to look inwards and ask fellow colleagues to contribute to your blog. Of course, as the marketer, you’ll have to vet the content, SEO and promote it, and make sure it meets blog standards. You can also go outwards and look for guest contributors. These contributors bring their own following to the table and know what they’re doing when it comes to putting pen to paper. And that does it for another month jam-packed with awesome blogs. 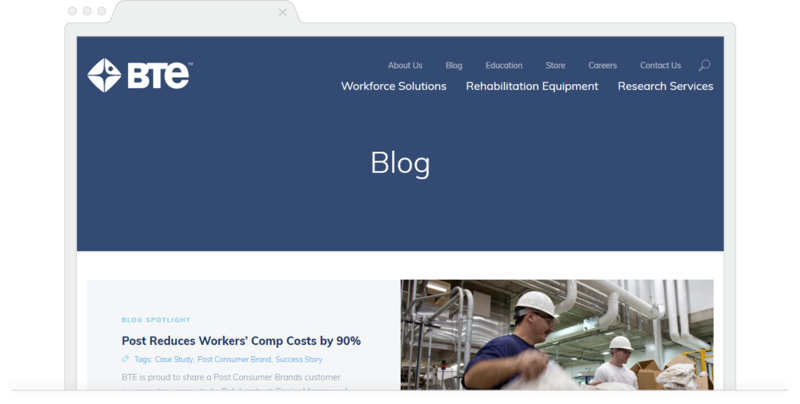 Make sure to check back here in May to see if your company blog was mentioned here.